The Village Theatre in Issaquah presents the world premiere of uproariously funny and surprisingly touching musical "The Noteworthy Life of Howard Barnes." For hockey fan and all-around ordinary guy Howard Barnes, “life is cubicles and colonoscopies and heartbreak.” The way Barnes describes his life in “The Noteworthy Life of Howard Barnes,” it doesn’t sound like it would make for a good musical. And that’s the point. In their uproariously funny new musical having its world premiere at Issaquah’s Village Theatre, Michael Kooman (music) and Christopher Dimond (book and lyrics) bring everyday authenticity to the fantastical world of musical theater, asserting both the value and absurdity of contemporary American musicals (and slyly broaching the topic of modern masculinity along the way). Barnes, the refreshingly stupefied main character (played by Joshua Carter), begins his initially reluctant journey in a quintessential bachelor pad (set with a remarkable balance of playfulness and sparseness by Christopher Mumaw). A bedside mini-fridge paints a picture of a man in a rut, turned apathetic by a 9-to-5 job and an ill-timed wedding announcement from a former lover. Even persistent boys’ night invitations from Barnes’ cartoonishly macho friend fail to rouse anything more than Barnes’ annoyance, resignation and an early end to post-hockey-game revelry. So when Barnes notices something odd — that his motions suddenly have musical accompaniment — it’s no surprise that he simply heads to bed (clad in plaid pajama pants and a hockey jersey, the first of many impeccable costume design choices by Rose Pederson). Barnes’ confused and frustrated reactions to the sudden infiltration of flamboyant chorus members and jazz hands are everything you’ve ever wanted from a character in a musical. Finally, someone acknowledges how bizarre it is to burst into song and dance by the water cooler! And while Barnes’ bewilderment lays bare the rampant clichés of American musical theater (in a way that both musical fanatics and skeptics will enjoy), those same clichés lead him on a journey aimed at breaking down the walls he’s built to protect himself from heartbreak. 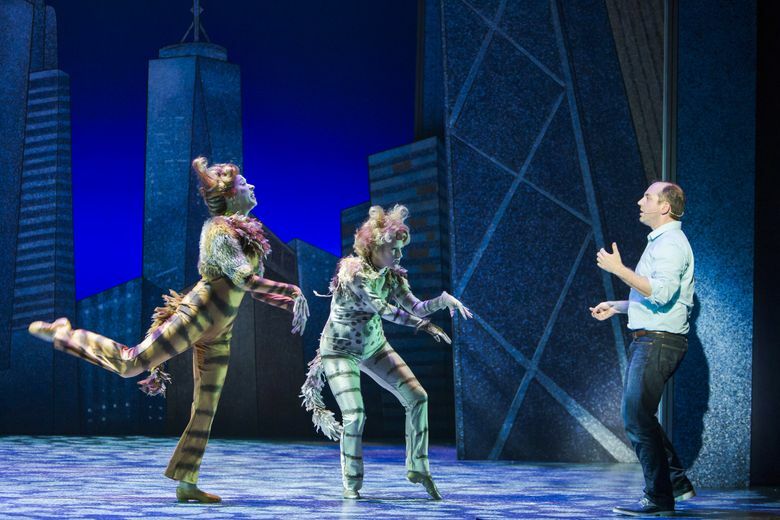 The ensemble shines, especially as an adversarial cast of characters from well-known musicals like “Hairspray” and “Cats” working to prevent Barnes’ escape as he works to find Von Schwartzenheim, a renowned and pompous playwright he hopes will help free him from the hellish musical-within-a-musical. (Von Schwartzenheim is played by veteran actor Jeff Steitzer, who can’t help but steal the show.) As though the ensemble’s harmonies are simply too powerful, Barnes soon finds himself unwittingly performing ballads and jazz squares with the best of them. It’s hard to blame him. Leading Barnes on his “quest” is Maggie (played by Taryn Darr), an aspiring actress whose intimate knowledge of musicals makes her the closest thing Barnes can find to a way out. But Maggie’s character treads dangerously close to Manic Pixie Dream Girl territory: She has no apparent reason to be interested in the average and unusually paranoid Barnes, but nonetheless goes out of her way to help him escape the increasingly antagonistic musical and his villainous ex, Grace (Jasmine Jean Sim plays the nemesis with delightful bravado). Darr plays Maggie with tear-jerking authenticity, but it’s unclear whether the character is written as the embodiment of a trope or if the musical simply falls victim to an easy method of plot advancement. And the plot needs no help advancing, thanks to the brisk pacing under the direction of Brandon Ivie, and the unfailingly entertaining and forward-moving score. Each song is at once satirical and original — “Jazz Hands” features many of the show’s countless references to other musicals, including a dancing street gang that sings “Danger! Physical threat! Jazz hands!”; in “Let it Out,” an experimental theater troupe’s dissonant harmonies break the fourth wall (and help break Barnes’ walls down as well). 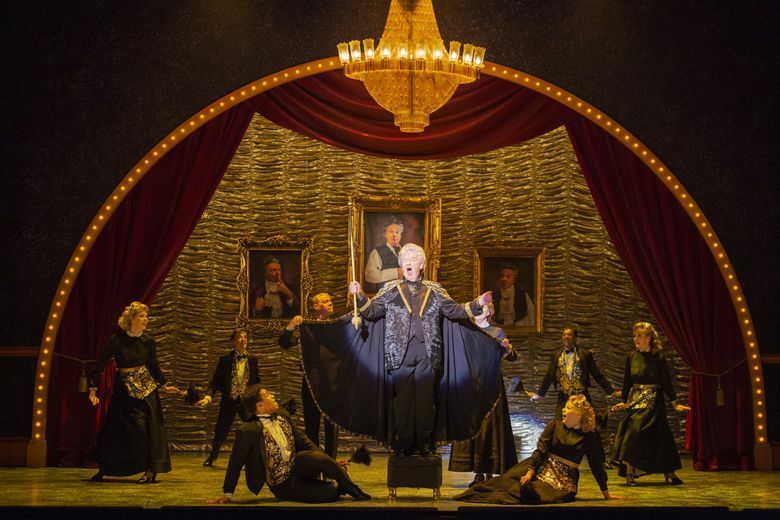 Whether Barnes remains trapped in the musical becomes barely relevant, because — spoiler alert — he learns to overcome what was truly holding him back all along. 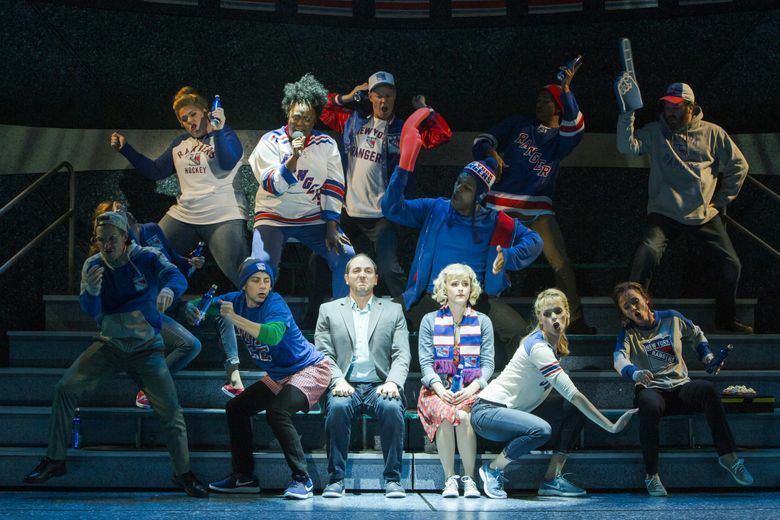 It’s a contemporary American musical, after all — of course it has a happy ending. “The Noteworthy Life of Howard Barnes,” by Michael Kooman and Christopher Dimond. Through Oct. 21; Francis J. Gaudette Theatre, 303 Front St. N., Issaquah; $32-$74; 425-392-2202, villagetheatre.org. Also plays Oct. 26-Nov. 18 at Everett Performing Arts Center, 2710 Wetmore Ave., Everett; $29-$69; 425-257-8600, villagetheatre.org.